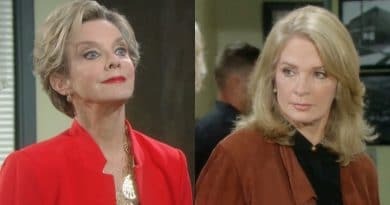 ‘Days of Our Lives’ Spoilers: Ted Helps Diana Evade Jail for Attempted Murder? 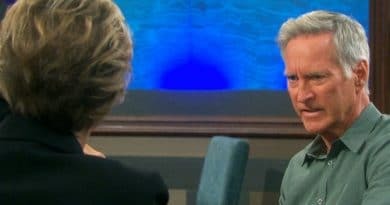 ‘Days of Our Lives’ Spoilers: John Interrogates Diana – Twisted Schemer Exposed at Last? 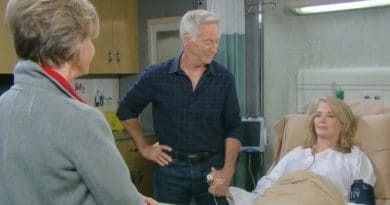 Days of Our Lives spoilers show John Black grills Diana Cooper about Marlena’s poisoning. John gets an inkling Diana had something to do with it and won’t stop until he knows. 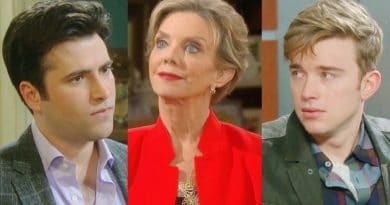 ‘Days of Our Lives’ Spoilers: John Cracks Diana’s Safe – Finds Leo Leverage? 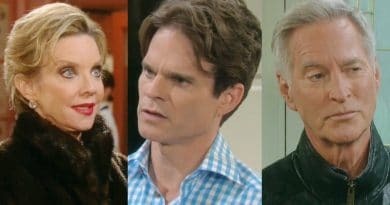 ‘Days of Our Lives’ Spoiler: Dirty Diana Wants John to Keep Leo Secret – What Is She Up To? 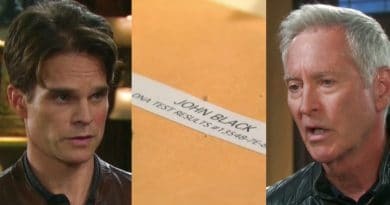 Days of Our Lives spoilers reveal John Black confronts Diana Cooper about Leo Stark’s paternity. Previously, spoilers revealed John told Roman Brady he’s worried the con man is his kid!